Okay, so on Tuesday I posted a shcedule then realised I do not want to keep to that. I prefer posting what I want, so I decided to. So, that shedule can be ignored. Anyway, have you heard? 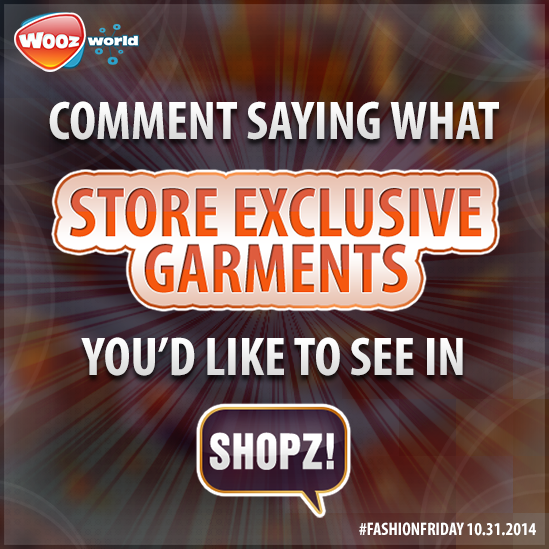 NEW FASHION FRIDAY? That's cool! Coming on October 31st which you all know as HALLOWEEN! Mya said we can't ask for deadmau5, domo or bratz and uniks. I don't mind that much tbh, because no offence but they were ugly anyway and I prefer other outfits with a nice theme. 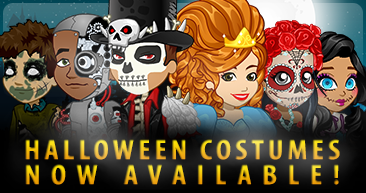 New outfits as well, for the halloween party on October 31st at 6PM WT! Glitz and Rocky are not together anymore, and someone else is asking to be hers. Still no answer from Glitz yet though.